The Artist Who Loved Cats: The Inspiring Tale of Theophile Steinlen is a picture book biography of the artist who created the iconic Le Chat Noir cabaret posters. More than that, it is a celebration of art, inspiration, and following your heart to create a life that you love. Art, music, and cats...and a Parisian setting -- need I say more? Oui! Our Kickstarter campaign is over now and it was a HUGE success – we exceeded our goal by almost $3500! Thank you to our Kickstarter backers for all the love and support. 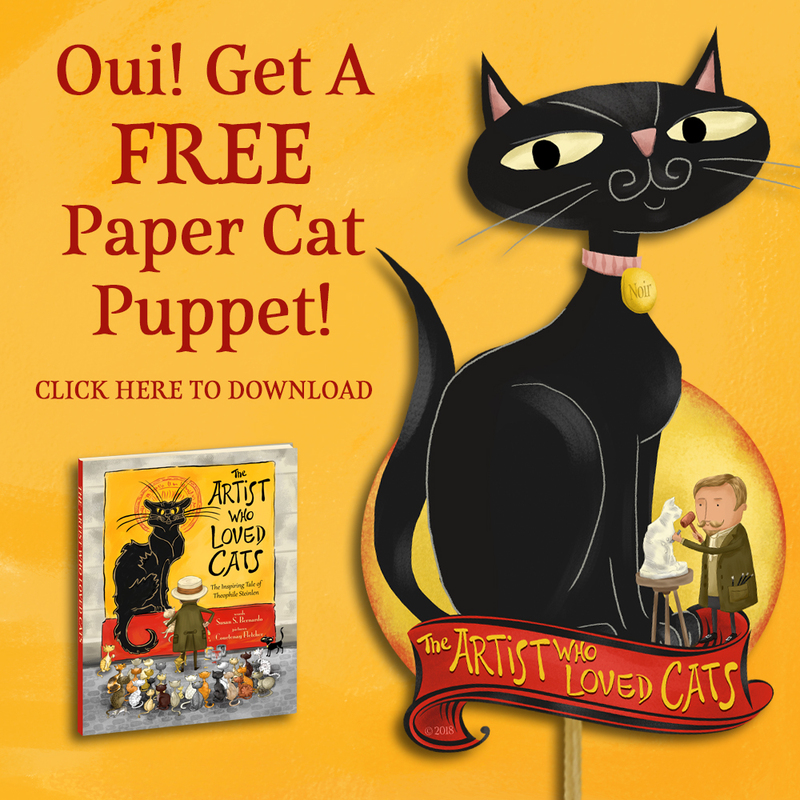 If you missed your chance to pre-order your copy, you can still download a FREE Black Cat Paper Puppet we created featuring our character Noir. You can also watch the video/book trailer we did for the campaign. Just scroll down. If you want to hear about exciting updates and news about the book, go to www.InnerFlowerChild.com and sign up on the mailing list. Thanks again to our community of supports in helping to get the book printed and out into the world. Merci beaucoup! Watch the charming little video we did for Our Kickstarter campaign! Some Special Cats aND Dogs Will Appear In The Book! 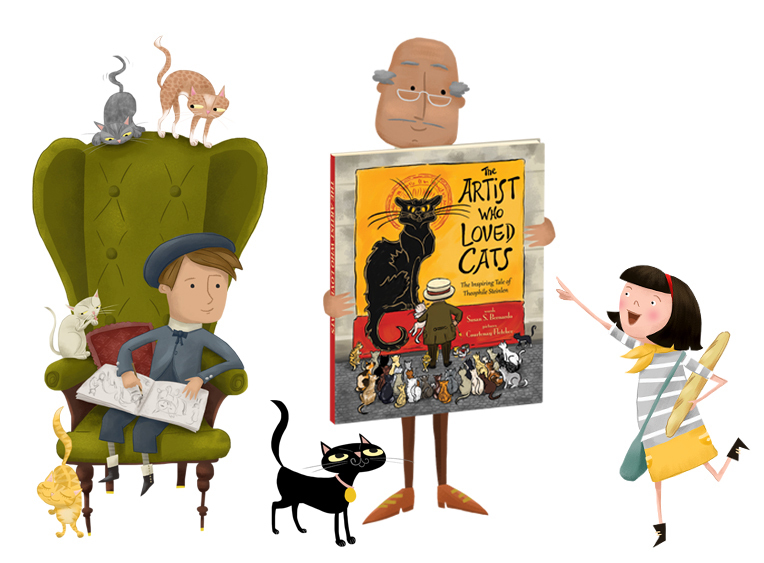 Meet (Young) Steinlen, Noir, M. Arvieux and Antoinette! The Big Adventures of Tiny House is a story about an old farmhouse that gets recycled into something new: TINY, a little house with a big heart – and WHEELS! Yes, Tiny may be small, but he lives a BIG life. With the help of Big Truck, he travels thousands of miles across America, seeing the sights and attending the Tiny House Jamboree (yes, that's a real thing - and it's AWESOME!). Along the way, he and Big Truck make lots of new friends -- like Shiny (an Airstream), Waverly (the houseboat) and Buster (a converted school bus). Come along and get to know Tiny as he explores the country and discovers the true meaning of home. 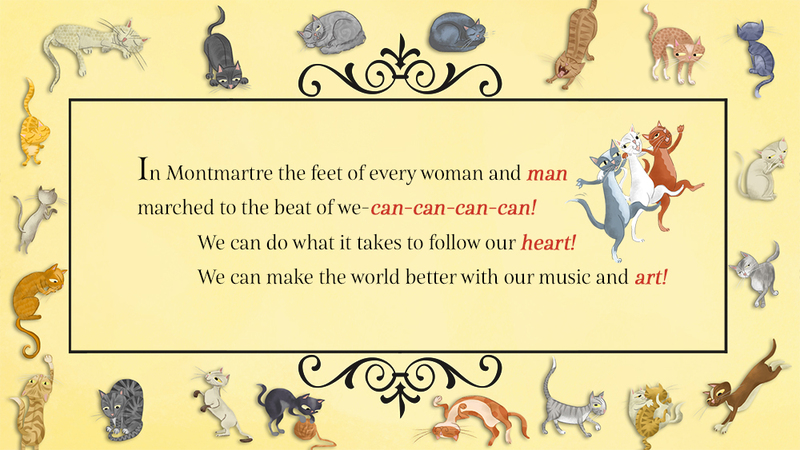 Watch our Kickstarter video below to learn more about what inspired us to write this whimsical and heart-warming book. Thank you! edged out the farmhouse, the fields and flowers. recycled the wood from the walls and the floors. they picked up those pieces and built something new. for writing a letter or reading a book." LA Times Festival of Books was a Blast! On April 22 and 23, Susan and I signed and sold books at the wonderful LA Times Festival of Books. We made so many new friends and said hello to lots of our old friends, too.